Until the mid-20th century, dentists were considered an emergency service and oral health as a concept was still in its infancy. That changed when Washington longshoremen piloted a new program to provide their children dental care. The Washington State Dental Service Corp. launched in 1954, later linking up with other service corporations to form the Delta Dental Plans Association. 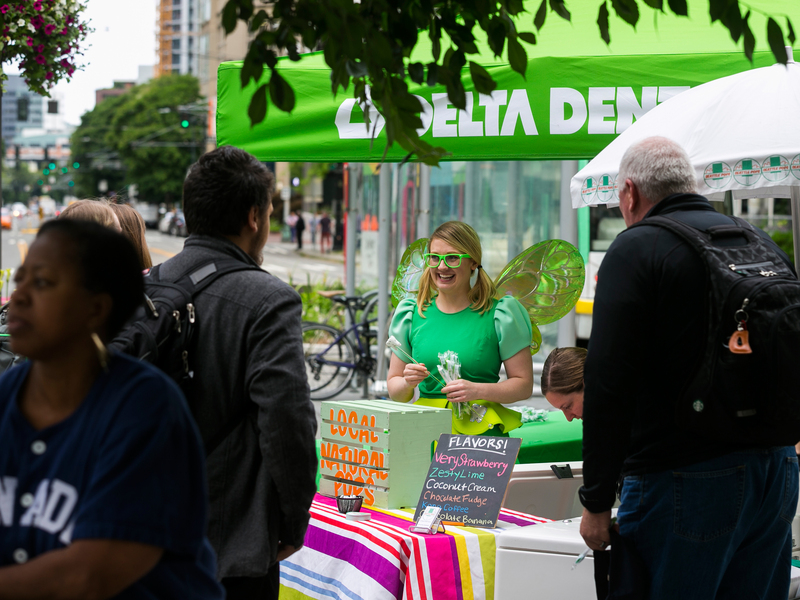 Today, the Delta Dental system is the largest dental benefit provider in the nation, with Delta Dental of Washington specifically covering 2.6 million people across the country and one in four Washingtonians. From 1987 to 2017, Delta Dental was located near Northgate Mall. Last year, the company moved to South Lake Union. Employee input, especially commute priorities, were key factors in selecting the new headquarters. The hope was that a downtown office would improve travel experiences. The results were spectacular. In the first two months, single car commutes dropped from 73 percent to 15 percent. The relocation process, Merlo adds, connected with Delta Dental’s commitment to solving problems together, accountability, ownership and a pioneering attitude. Relocating to downtown also sparked interest in the Downtown Seattle Association. Many Delta Dental customers are DSA members, and the company worked closely with Commute Seattle to develop its transportation strategy. “We knew DSA was a great resource and we appreciated their community engagement and advocacy work around housing and transportation,” Merlo says. What are Delta Dental’s plans for the future? Hint: the company built a lot of flexibility into its work space to allow for continued growth as well as community engagement.